SnapShot aggregates all hotel data in one user-friendly ecosystem that allows hotels to pick and choose the software solutions they need and run their business more effectively. With more than 6000 hotels and 60 data partners integrated on the platform, SnapShot is the go-to marketplace for hotels and great technology. SnapShot’s range of hotel data solutions, from smart applications to a customizable enterprise data warehouse solution, makes the platform perfect for properties of all sizes. It’s inbound, unified API, which serves as the base for HTNG´s transactional data standards, allows hotels and developers to build new applications with ease. Founded in late 2011 by a team of cloud computing and SaaS veterans Arden Agopyan, Ali Beklen and Tolga Yalcinkaya, HotelRunner is an innovative technology company offering a freemium, cloud-based online sales, digital marketing and channel management platform that assists hotels and travel agencies transition from off to online through state-of-the-art technology, tailor, streamline, and improve their online outreach. HotelRunner helps 12000+ hotels and 150+ travel agencies across 107 countries supporting 24 languages to create innovative sales channels, improve international brand recognition, reach more customers globally, and boost occupancy rates. HotelRunner maximizes online visibility, automates inventory distribution, and boosts revenues and profit margins. HotelRunner is also a Preferred IT Provider of Booking.com and a Premium Partner of TripAdvisor. Careful innovation led to the birth of Vertical Booking -a specialized software that handles hotel reservations via the Internet, GDS & IDS. From a single property hotel to large hotel chains Vertical Booking is designed to get the job done with ease and accuracy. The program includes marketing tools that are designed to assist hoteliers in maximizing revenues. Vertical Booking can be used as a whole for a complete hotel management solution or as individual components (like GDS connect) integrated into an existing system as XML interfaces. TripAdvisor is the world's largest travel site, enabling travellers to plan and book the perfect trip. TripAdvisor offers trusted advice from real travellers and a wide variety of travel choices and planning features with seamless links to booking tools that check hundreds of websites to find the best hotel prices. TripAdvisor branded sites make up the largest travel community in the world, reaching 315 million unique monthly visitors, and more than 200 million reviews and opinions covering more than 4.4 million accommodations, restaurants and attractions. Hotelogix is a certified TripConnect Premium Partner. STAAH is an innovative company creating the perfect solutions for accommodation operators. We have been helping properties understand, control & grow their businesses since 2008. We specialise in channel management, booking engine, and reputation management technology for accommodation operators such as hotels, motels, B&Bs, holiday resorts and guest houses. We also offer website development and e-commerce gift voucher store. We focus on developing products that are intuitive and reliable, working with our partner properties to continuously improve their effectiveness and efficiency. SiteMinder is a multi-award winning online distribution company whose products are trusted and used by accommodation providers in over 105 countries worldwide to help increase online revenue, streamline business processes and drive down the cost of acquisition. The cloud-based product suite continues to set the benchmark in online distribution technology by challenging conventional operating strategies. SiteMinder’s product suite includes the award winning Channel Manager, the commission free internet booking engine TheBookingButton, GDS by SiteMinder, and ‘plug & play’ distribution technology API pmsXchange. SiteMinder also leads the way in complete 2-way seamless integrations to many PMS and CRS systems around the world. Amazon EC2's simple web service interface allows you to obtain and configure capacity with minimal friction. It provides you with complete control of your computing resources and lets you run on Amazon's proven computing environment. Amazon EC2 reduces the time required to obtain and boot new server instances to minutes, allowing you to quickly scale capacity, both up and down, as your computing requirements change. Amazon EC2 changes the economics of computing by allowing you to pay only for capacity that you actually use. Amazon EC2 provides developers the tools to build failure resilient applications and isolate themselves from common failure scenarios. POSist is a complete cloud-based Restaurant Technology Platform that provides end-to-end solution for all types of restaurants and food outlets. POSist simplifies daily operations such as Billing, Stock & Inventory Management, Customer Relationship Management and helps restaurateurs gain a complete control over the business through real-time reporting & analytics. With features such as In-Room Order Taking, Marketing Automation, Customer Feedback Management, and Large Chain Enterprise Management, POSist automates and optimises restaurant operations and significantly reduces costs. The motto is to provide ‘training free’ and ‘easy to use’ scalable solutions to solve the problems of restaurant management. POSist has a presence in 5 countries, and is working with 4000+ restaurant brands and hotels. AROKIA IT PVT LIMITED is a leading Information Technology (IT) firm focused on creating reverberating value growth through innovative scores of solutions and distinctive expertise. Our core values are at the very heart of our business architecture and are essential to our ongoing cogs of success. One Loyalty is a white-labelled cloud based software by Arokia IT that provides businesses with comprehensive loyalty tool to engage with their customers and configure the right loyalty program to the right customer segment. 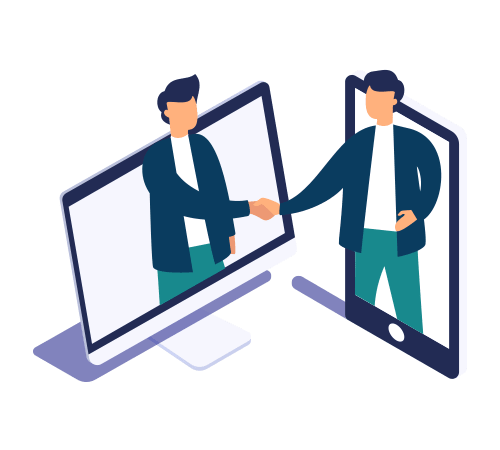 With One Loyalty our partners can access their customer’s frequent transactional behavior, help them to understand their ever changing needs, intrests and preferences. One Loyalty partners with some of the largest global brands across different sectors that help us cross pollinate ideas in order to drive your business sales objectives. Authorize.Net enables merchants to authorize, settle and manage credit card and electronic check transactions via Web sites, retail stores, mail order/telephone order (MOTO) call centers and mobile devices. PayPal has quickly become a global leader in online payment solutions with more than 153 million accounts worldwide. Available in 190 markets and 24 currencies around the world, PayPal enables global ecommerce by making payments possible across different locations, currencies, and languages. Located in San Jose, California, PayPal was founded in 1998 and was acquired by eBay in 2002. Xero was found in July 2006 by successful technology entrepreneur Rod Drury and specialist small business accountant Hamish Edwards. Xero is listed on the New Zealand Stock Exchange and is a fast growing company with offices in Wellington, Auckland, Melbourne, Sydney, Brisbane and London.